Making a positive contribution at Ocean Studios and in my community is important to me. In the Column Bakehouse Cafe is the Maker Table and they invite artists to run session to engage the community into creative process. 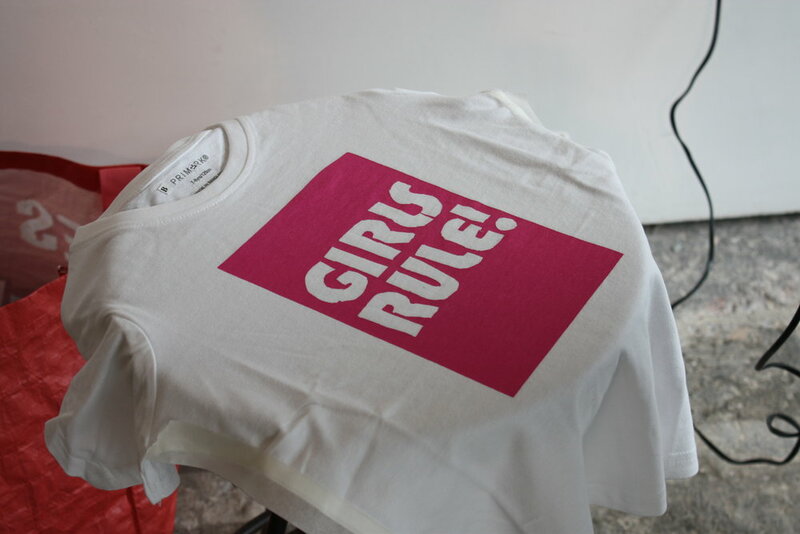 Yesterday I ran a screen printing session for young people making slogan T-shirts. The results turned out great and I am planning to run a few more sessions with the lead up to summer. Visit my shop to book in, limited spaces available. Florence learning how to print through the paper cut stencils. Maggie getting stuck in with her Grandma. Express your opinions and wear them. Passing on skills to young people.